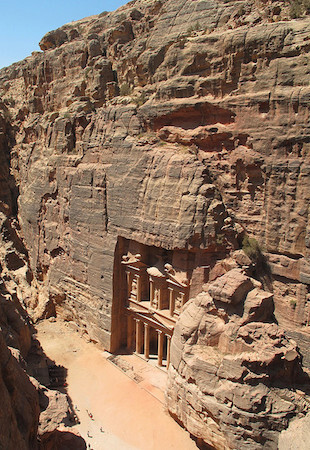 There is only one true way to experience Petra—the greatest city of the Nabataeans, a people who occupied the area from Sinai and Negev to northern Arabia in the west and as far north as southern Syria. On foot or mounted on a camel, one should leave the modern village of Wadi Musa in modern-day Jordan and enter the Siq, a narrow, curving canyon, that traders, explorers and travelers have been walking down since time immemorial (here’s a short video of the approach). Stone carvings, camel caravans and betyls (the famous god blocks) set in niches, appear. But these elaborate carvings are merely a prelude to one’s arrival into the heart of Petra, where the Treasury, or Khazneh, a monumental tomb, awaits to impress even the most jaded visitors. The natural, rich hues of Arabian light hit the remarkable façade, giving the Treasury its famed rose-red color. Petra was the capital of the Nabataean Kingdom for most of its history until the Roman Emperor Trajan created the province of Arabia in 106 C.E., annexed the Nabataean kingdom, and moved the capital of this new province to Bosra (also spelt Bostra) in what is today modern southern Syria. The ancient sources inform us that the Nabataeans were great traders, who controlled the luxury trade in incense during the late Hellenistic and early Roman periods. 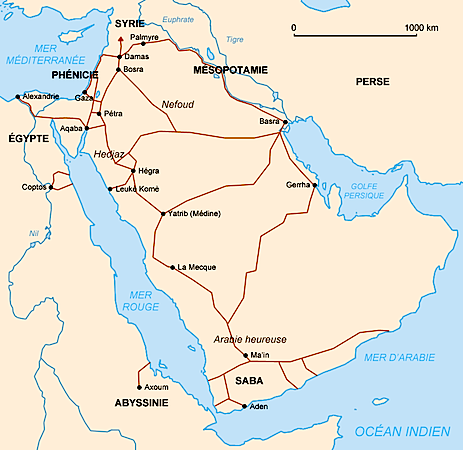 The Hellenistic period stretches from the death of Alexander the Great in 323 B.C.E. to 31 B.C.E. when the Roman Empire emerged. It can also refer to artistic and cultural similarities in the eastern part of the Mediterranean, Egypt and the Middle East in this era. 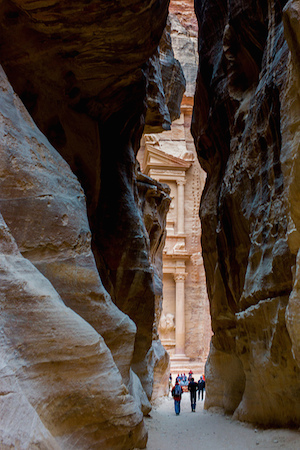 Petra, the rock-cut city of the Nabataeans, lay at the intersection of these rich trade routes. 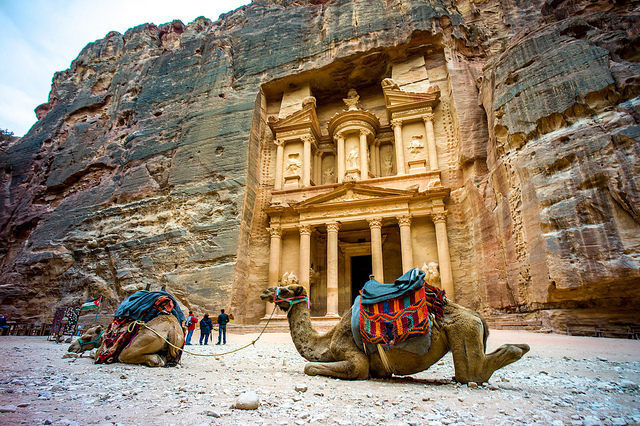 The great wealth that the Nabataeans amassed allowed them to create the spectacular architecture that so many admire in Petra today. Cite this page as: Dr. Elizabeth Macaulay-Lewis, "Petra: The rose red city of the Nabataeans," in Smarthistory, July 8, 2018, accessed April 19, 2019, https://smarthistory.org/petra-the-rose-red-city-of-the-nabataeans/.